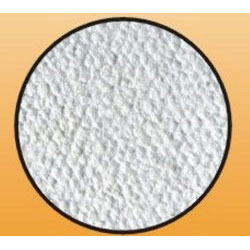 Leading Supplier and Manufacturer from Ahmedabad, our product range includes Thermal Insulated Asbestos Cloth such as Fire Resistance Asbestos Cloths and Flame Retardant Cloth. Fire Resistance Asbestos Cloth tape woven from asbestos yarn for clutch facing possesses excellent fire, rot and vermin proof qualities. 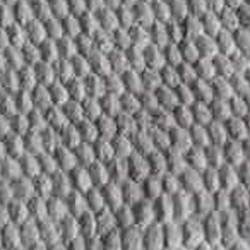 Therefore asbestos cloth India is used in a number of diversified application in a variety of free textures, thickness and weights to suit these applications. Backed by a team of diligent experts, we manufacture and import high quality asbestos cloth used in the textile industry. It is a type of cloth to form pliable mineral textile with high tensile strength and high resistance to heat, flame, chemicals, and weather. We fabricate this type of cloth using qualitative fine quality longer spinning fiber of asbestos that is procured from the reliable and established vendors. 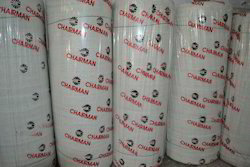 As a thermal insulation materials: For use on boilers, pipelines and ancillary equipments in power plants, factories, buildings and ships. Fire protective clothing : For the manufacture of fire-resistant safety gloves, suit and other clothing for fire fighting; also for heat-resistant gloves, aprons etc. For use in glass works foundries, chemical works, welding shops, plastic moulding shops, etc. For use as safety curtains in theaters, ships and aircraft and wherever a fire barrier is required asbestos cloth India is used. For the use of fire blankets ,for use in of welding fire blankets in ships, schools, installation, cinema rooms, kitchens,garages, etc. And wherever there may be a need for clean and effective means of smothering during small outbreaks of fire. Packings and jointing: Asbestos cloth when proofed with rubber is an excellent jointing medium. These clothes can be folded into tapes and cut into gaskets for the sealing of pipe flange joints and boiler joints. Asbestos cloth is also fabricated and shaped into proofed asbestos cloth packings. Electrolysis of water: This is used for the diaphragms of electrolytic cells. Plastics: As filler in high-strength heat-resistant laminates for electrical applications. Packing: In rolls, average roll weight -50 to 55 kgs. With rich industry experience and knowledge, we are engaged in manufacturing, supplying and importing Asbestos Cloth (1.5 mm). We offer this Asbestos Cloth to our valubale clients with monthly capacity of 300 rolls of 50 m. This cloth is basically used for making hand gloves, aprons, fire suits and lamination sheets. 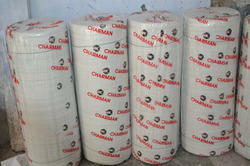 We are offering Industrial Asbestos Cloth that is made of asbestos wires by means of vertical and horizontal knitting. Our range of asbestos cloth includes Industrial Asbestos Cloth, Jointless Asbestos Cloth(54" To 84") and Asbestos Special Cloth. We also offer Asbestos Rubber Sheets, Oil Resistance Asbestos Rubber Sheets, Acid Resistance Asbestos Rubber Sheets, Non-Asbestos Rubber Sheet and Asbestos Rubber Gasket. We are leading manufacturer of various asbestos and number of asbestos products which include ranging from asbestos yarn to making various cloth products like aprons, welding blankets, hand gloves etc. One of Our Major Products include Joint less Asbestos Cloth upto /above 2 meter of continuous width. Its Primarily used in various industries for flooring surface for carrying out welding work at refineries and in making various other application due to its continuous width. For the manufacture of fire-resistant safety gloves, suit and other clothing for fire fighting; also for heat-resistant gloves, aprons etc. for use in glass works foundries, chemical works, welding shops, plastic moulding shops, etc. For use as safety curtains in theaters, ships and aircraft and wherever a fire barrier is required asbestos cloth India is used. For the use of fire blankets ,for use in of welding fire blankets in ships, schools, installation, cinema rooms, kitchens,garages, etc. and wherever there may be a need for clean and effective means of smothering during small outbreaks of fire. As filler in high-strength heat-resistant laminates for electrical applications. As a filtration medium for various liquids. Minimum Order Quantity: 100 Kilogram.